Do you ever feel like you’re on the outside looking in? I hate that feeling. Always have. Some people don’t mind it. They don’t feel the need to be included in everything. They’re fine going on about their lives and letting others do the same. I love the abstractness of this photo. It was taken looking in to the kitchen from through the backdoor. 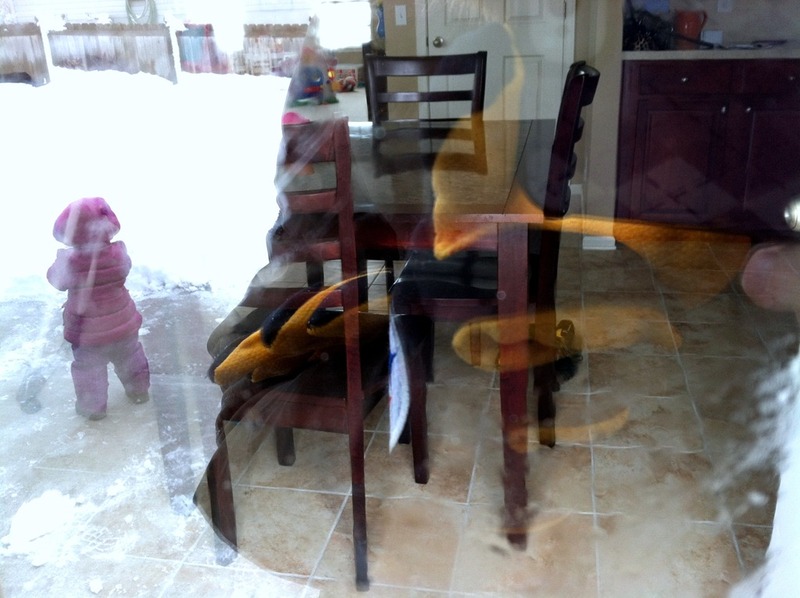 I like how the darkness of my clothing allows you to see in to the kitchen on one side, yet the bright snow pops up on the other side, showing Isabella all dressed up and ready to play. The weird yellow bits in the middle are my Pittsburgh Steelers gloves! In grade school I felt the need to be in every friendship bracelet making circle. In high school, I was devastated if not invited to a sleep over. In college if someone had a study group or party and didn’t invite me, my world was turned upside down. When I first started at my current job 4 years ago, I was put at a desk that was sort of by itself, on the outside of the “pod”. I could hear everyone chit chatting and laughing but was not included. It’s not that they didn’t want to include or didn’t like me, they just didn’t think of it because I wasn’t sitting with them. Out of sight, out of mind. I hated it. I always felt left out and alone. It took 2 years for me to be moved to a desk within the circle and that was a happy day. Suddenly I knew what was going on. I got the inside jokes and invited out to lunch. I would much rather be on the inside than the outside. 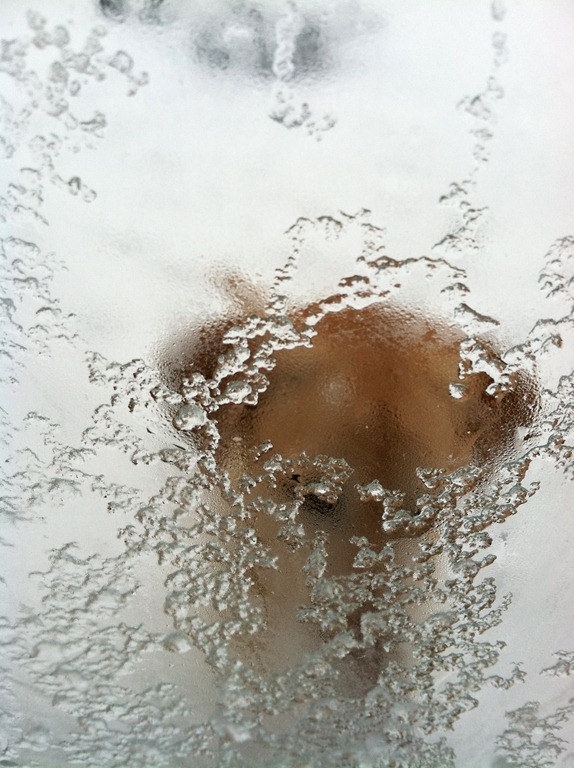 Samson looking in the backdoor during the snow storm. I’m really happy with how the ice crystals are so clear and defined while his fuzzy head is, well, fuzzy. Maybe I was a Labrador in another life? As an added bonus, I’ll include some video I shot of Isabella dancing during the Super Bowl half time show. She was standing up in front of like 30 people bouncing away! She wasn’t “looking in” – she was seizing the moment! The other kiddos joined in too! I was so proud of her. My heart grew 10 sizes. 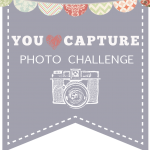 * This post was linked up to the You Capture challenge.This week’s theme was “looking in”. Head on over to I Should be Folding Laundry to see some more great photography. « What’s This White Stuff?